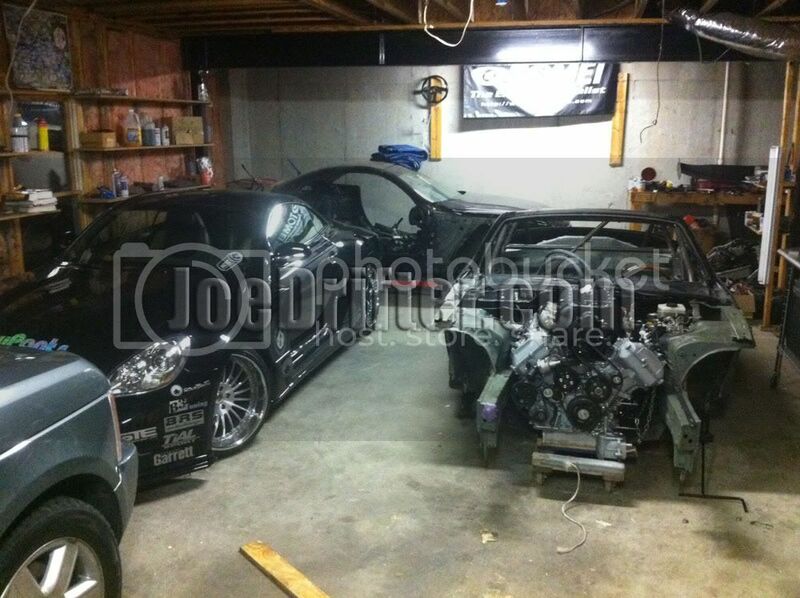 Just wanted to update everyone as to the status of the DEALERCAST Lexus SC430. 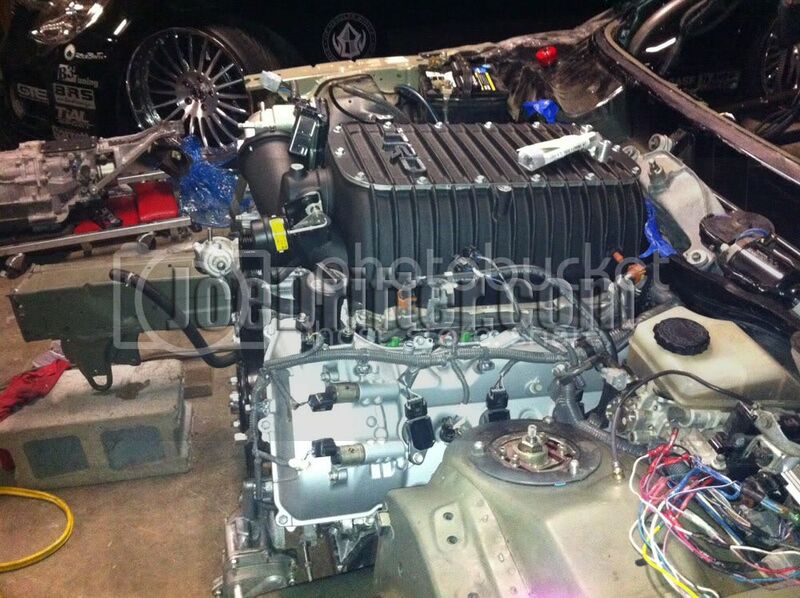 The motor is in and I will be providing regular updates. 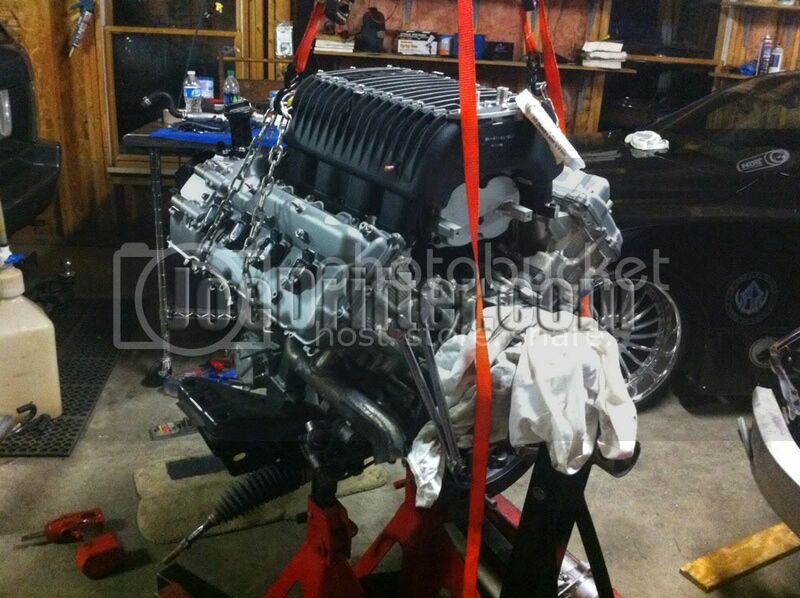 If you don't know I have taken the complete motor setup out of a 2007 Toyota Tundra 5.7 Liter 3URFE V8 and have transplanted it into a Lexus SC430. In doing so I am testing two different setups. The first will be getting everything running on the Tundra factory electronics and factory Tundra Automatic Transmission. Should be pretty straight forward and will provide lots of information. 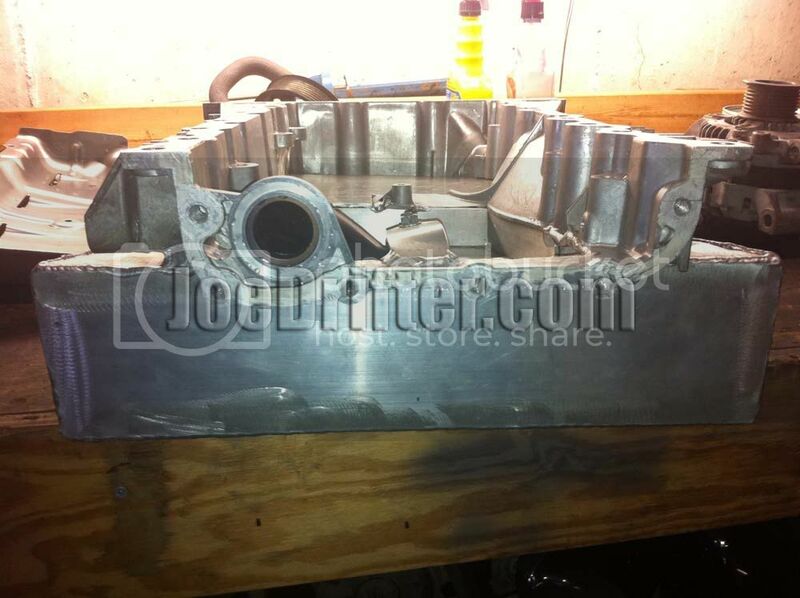 The second setup will be using a custom transmission adapter plate, twin plate clutch and stand alone ECU. This too will yield great technical data and will be used in future projects and platforms. Here are some initial pics. Engine Running on the ground!!!!! I don't have constant fuel yet to it but will shortly. So as you can see in the photos we have three SC430's. My vision is to have one one the East coast and one on the West. 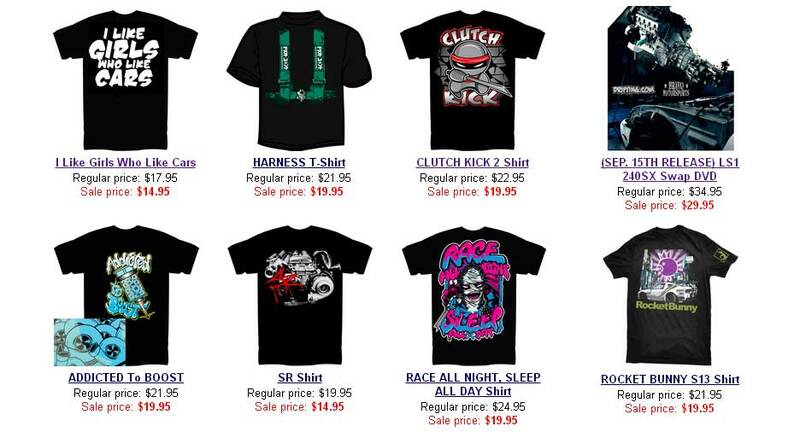 Find some good talent and run Formula Drift without all that cross country driving and expense. We'll see how it goes. The showy Lexus is really just that. PR stuff. Hope you guys like it. did u buy the show car from drift emporium? or do u work @ drift emporium? So we had to change the oil pan to front sump. Here are some pics of how we shortened the pickup tube and boxed the front in. Staying with the factory oil pump. Thanks Kyle G. and John. YOitsJDM, incidentally DE never owned the show SC. It was simply on loan for events and will continue to be a marketing tool. Last edited by JoeDrifter; 12-23-2011 at 07:25 PM. 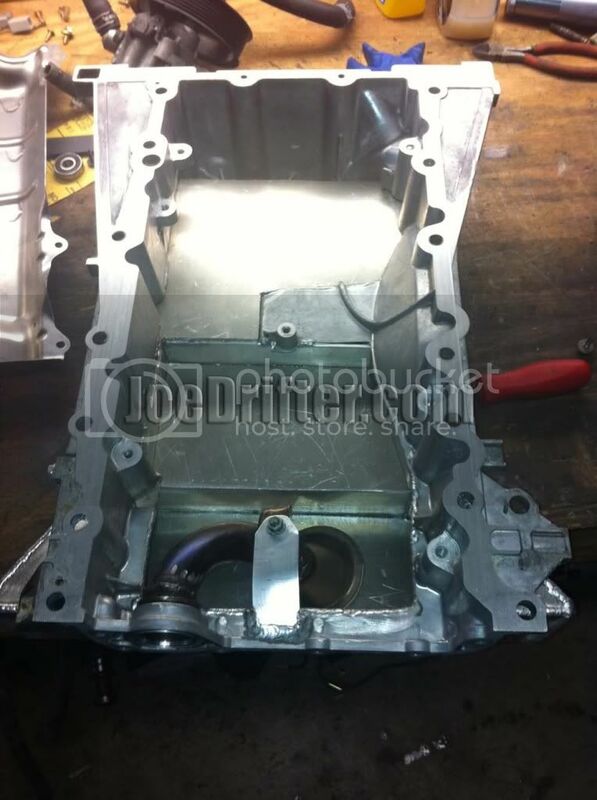 Ok here are some pics of the front sump oil pan installed on the 3URFE. The factory SC430 motor is front sump and because the steering rack is behind the engine cradle or k-member I needed to convert the oil pan to front sump. 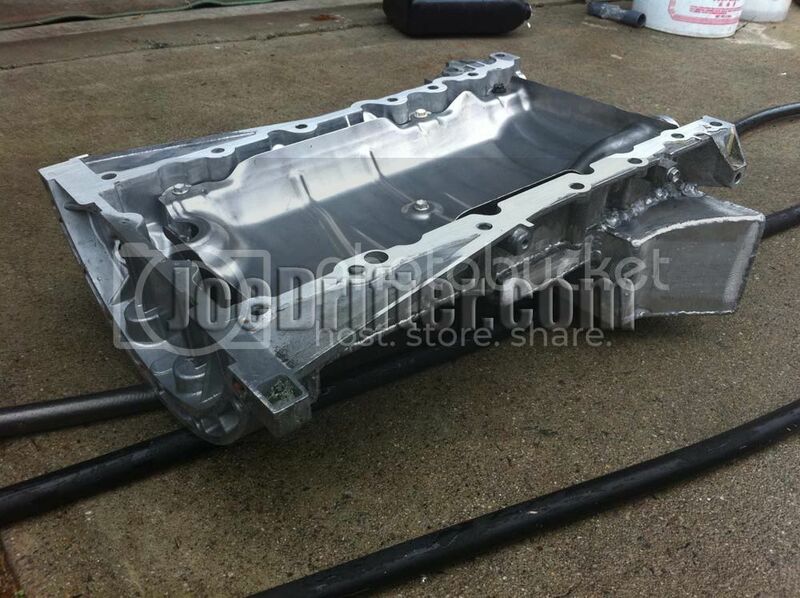 So with the help from John my brother and Kyle Grob they re-engineered the oil pan. In doing so they shortened the factory pickup tube but maintained the factory oil pump. Last edited by JoeDrifter; 12-24-2011 at 09:35 AM. 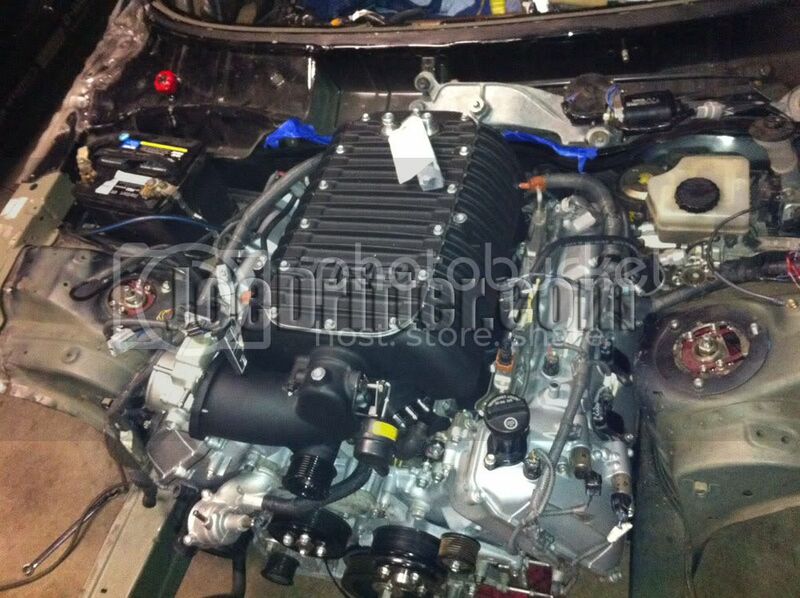 The Tundra 3URFE with the front sump oil pan and Toyota Racing Development Supercharger installed. 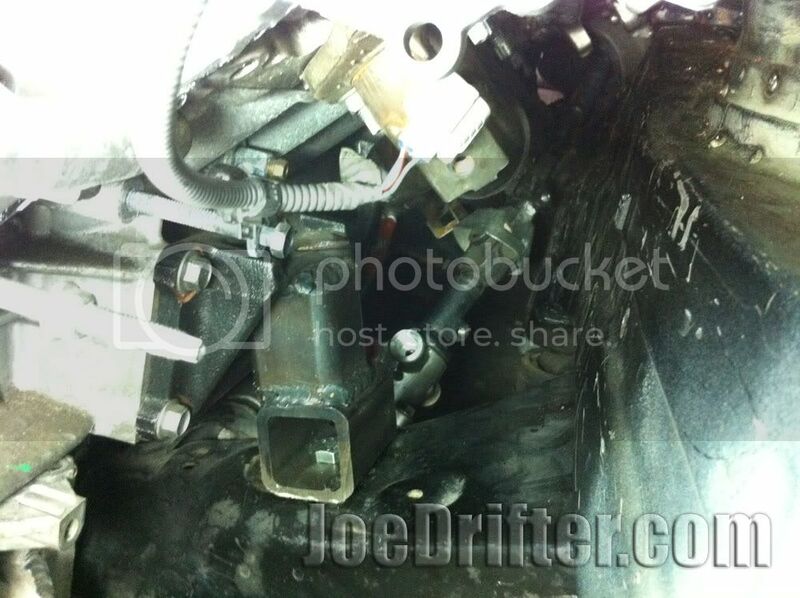 So in my first configuration I have the entire Toyota Tundra wiring harness installed to do a quick run test. Motor started right up. Now I am pulling all of the wiring out to redo it. Hey guys just an FYI on the TRD SC. From what I understand it is based on the Magnuson tvs 1900 6th gen. Here is a pic of the newer redesigned sc lobes. The twin four-lobe rotors feature 160-degree twist improves air-handling, noise, and vibration characteristics over the older 3 lobe 60-degree twist on the left pic. Last edited by JoeDrifter; 12-28-2011 at 10:42 AM. who is tuning your car and will it be at FD round 1? I don't have a tuner yet. 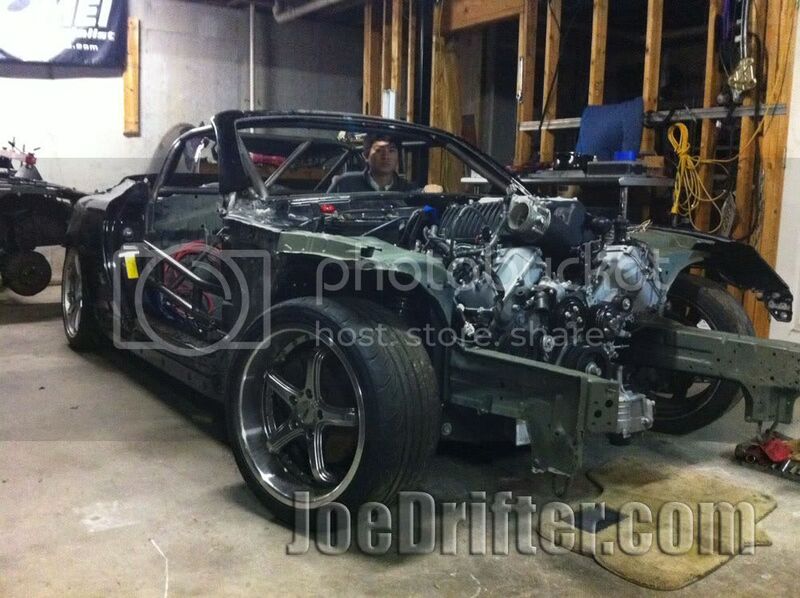 I am hoping to have this done by FD round 1. We'll see if it all comes together. Ok so what I am doing now is opening a section in the Lexus firewall to allow the factory Tundra wiring harness to enter then engine bay. Ok guys, PITA - I had this thing running in the other SC430 chassis and all we did is switch over the harness and now it's being a pain. Everything comes on but no signal to to the starter. I was hoping to have a running video out there tonight but no luck. I have to just take a break and get back to it later. I fell like it is the theft key. The transponder amplifier case got cracked when moving over. Not to happy tonight. Ok so here are some photos from tonight. The first two are from inside the Lexus. 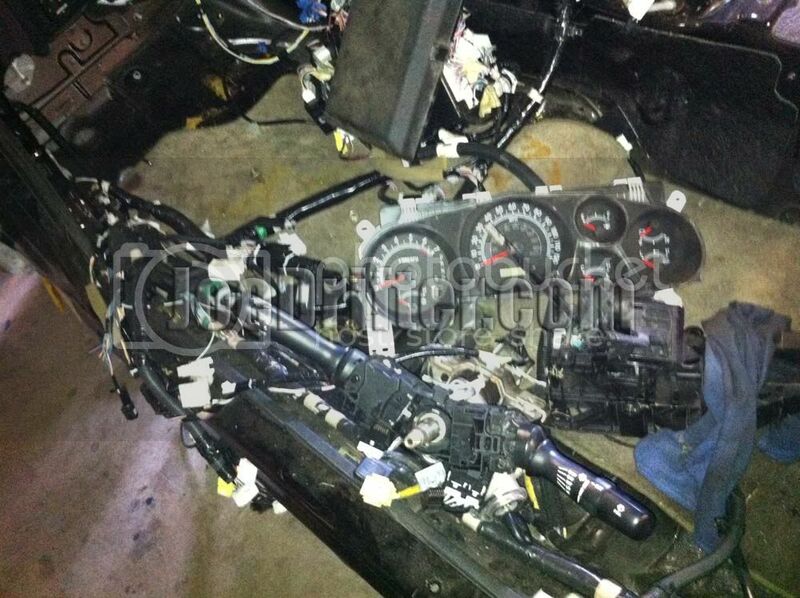 All the wiring and electronics is from the Toyota Tundra. I have it online but not cranking yet. 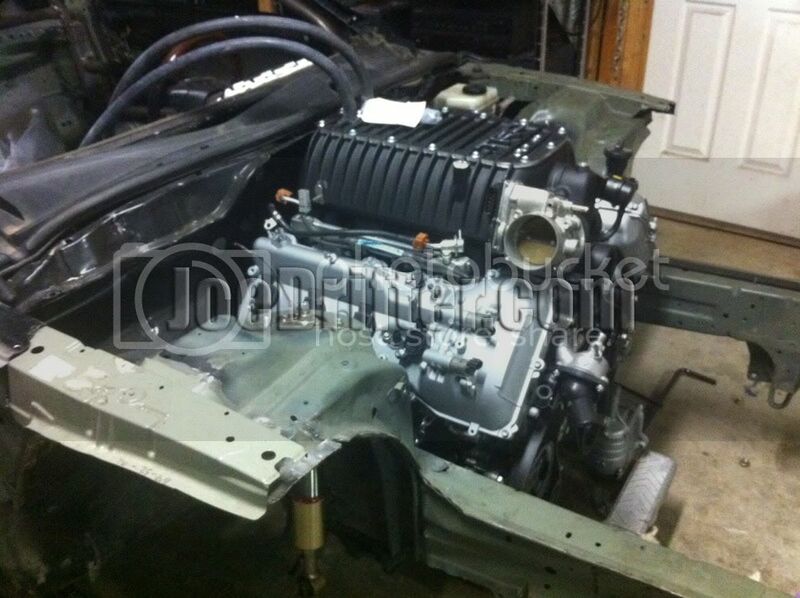 These two show the Tundra wiring installed in the engine bay. 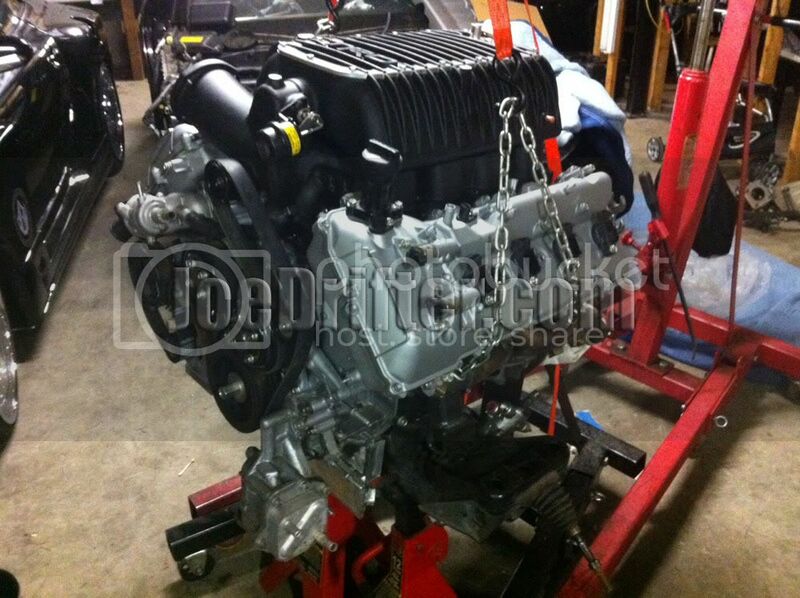 Should be running soon. I just need a break for a little bit. Too much thinking about wiring tonight. 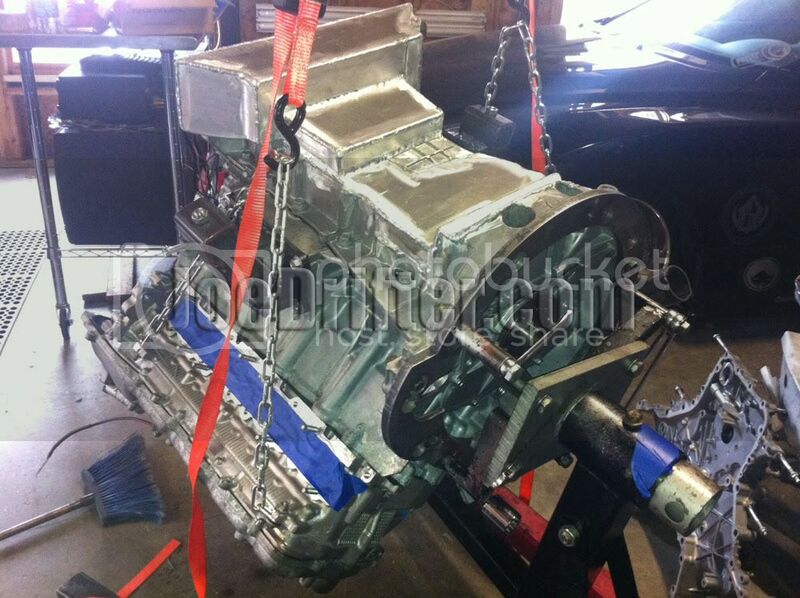 With the three photos below you can really see just how far back we were able to mount the engine. Take a look at fare it is set back from the front of the frame rails! The blue tape by the wipers show where I had to cut it so that none of the body is touching the supercharger. Last edited by JoeDrifter; 01-03-2012 at 10:27 PM. Hey guys and gals I have a question / poll for you all. A. 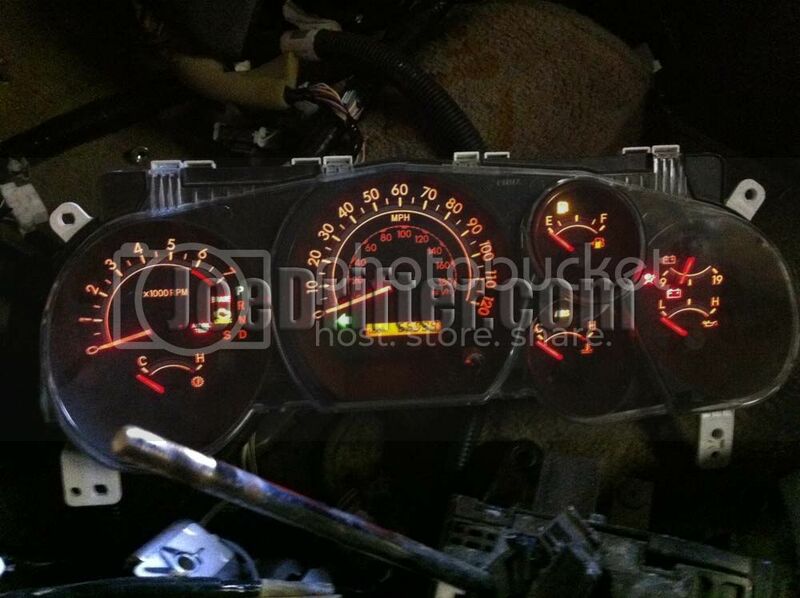 Continue trying to figure out factory ECU / Setup & Wiring? B. 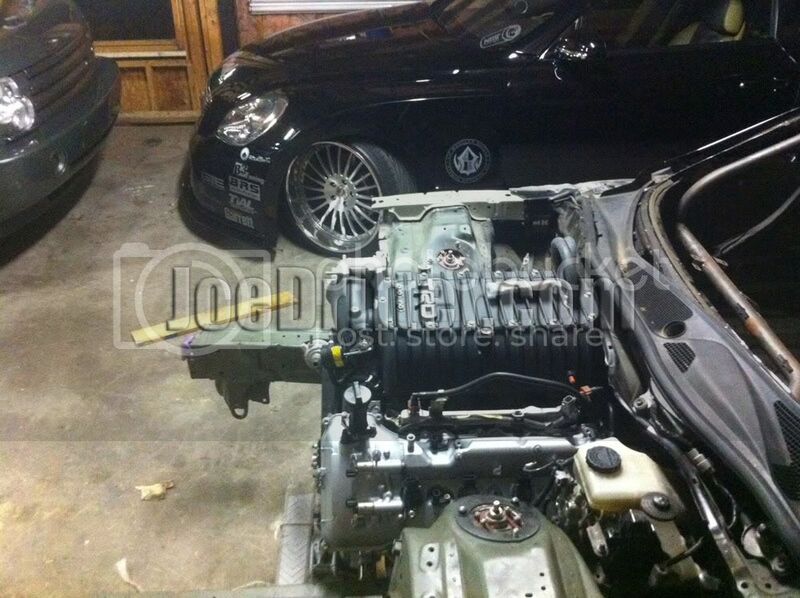 Pull it out and slap the AEM on it asap and get this "B" running? Either way this thing needs to run like this weekend. I want to get the wheels on it and get the video on Youtube like now! Please let me know what you all think. You guys are going to decide what's up, so make the call! is there any reason to use the factory ECU over AEM? Well I was going to use the AEM for the other SC430 I am building. I wanted to try to get one working without having to tune. But we will see. Hey guys, so my brother-in-law Travis and I worked on getting the front suspension on tonight. Baby is sleeping so I can't crank it now. However, tomorrow I will have a video for you all. I'm so excited. Also figured out how to change how/where the watermark is placed. Ok here are a few more pics. First one is of the factory steering shaft installed and hooked up. It clears the factory Turndra exhaust manifold. However, I had to cut the triangular exhaust flange on the ends of the manifold. They are just so huge and were hitting the firewall. 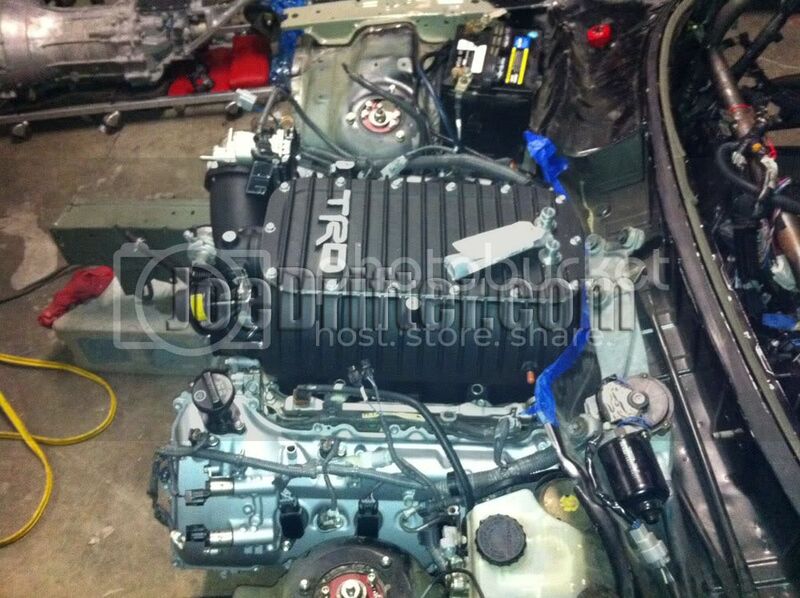 Tundra 3URFE 5.7 TRD Supercharged SC430 RUNNING!!! Finally got it fired up. Factory Tundra setup. I need the following items. Last edited by JoeDrifter; 01-10-2012 at 07:08 PM. The beauty of OEM Management is OBDII. I know I was going to be registering numerous faults once running. I didn't have any O2 sensors hooked up. However, this morning I pulled the codes and found 8 faults. My game plan is to resolve all faults and then get the car on the road. Once I am satisfied with fault related issues being resolved them I am going to start tricky process (and maybe not possible) of unplugging the automatic transmission harness connectors. One by one I am going to bypass them. Here are my faults today. P2716 - Shift Point too Hi or too Low - Pressure control solenoid "D" SLT (interesting) Shouldn't be a problem. I guess the 02 Faults won't occur until I run it for a few minutes. Perhaps more faults will show up then too. However, they shouldn't be a problem. Last edited by JoeDrifter; 01-11-2012 at 07:54 AM. 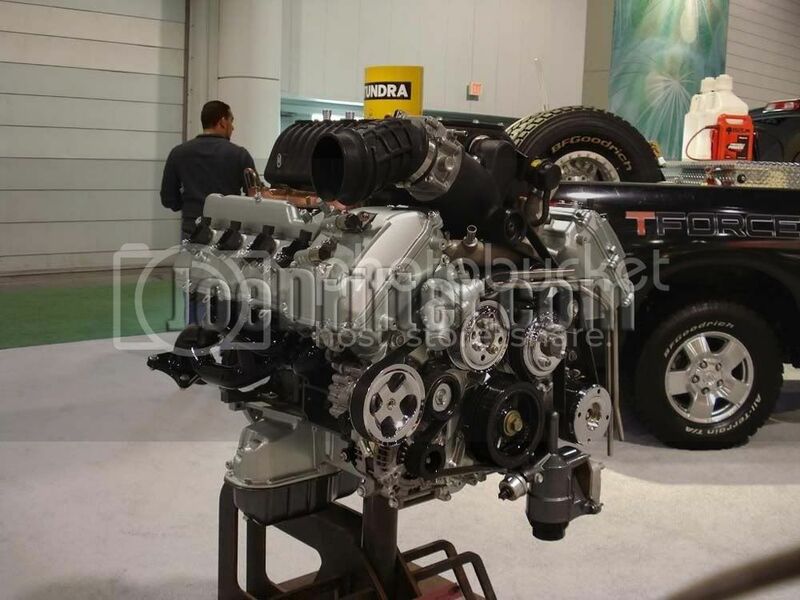 Tundra 5.7 TRD SC and 2JZGTE Powered SC430's!!! Coming UP! Ok so here is an updated pic from tonight. SC430's #1, #2 & #3 are in this shop pic. The #1 Lexus sponsored 430 is headed off to storage this weekend. I need more room. 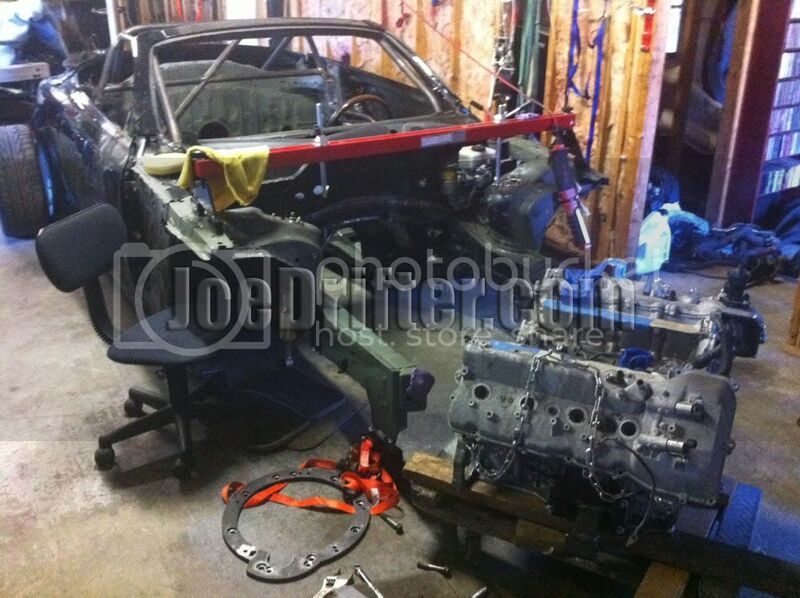 The #3 car is on the ground and I will begin building the DEALERCAST race team complete body kit. From the ground up I am going to remake the car. 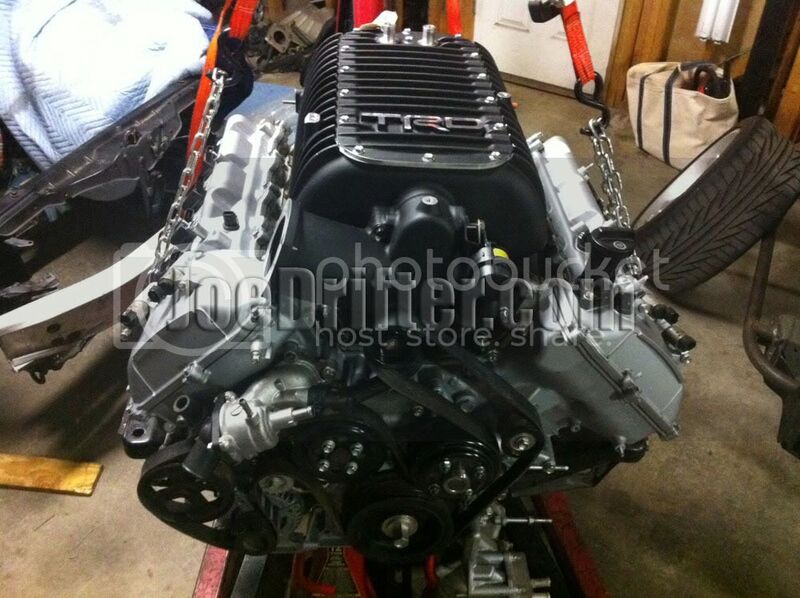 At the same time I will be completing the mechanical aspects of the running 5.7 #2 car. 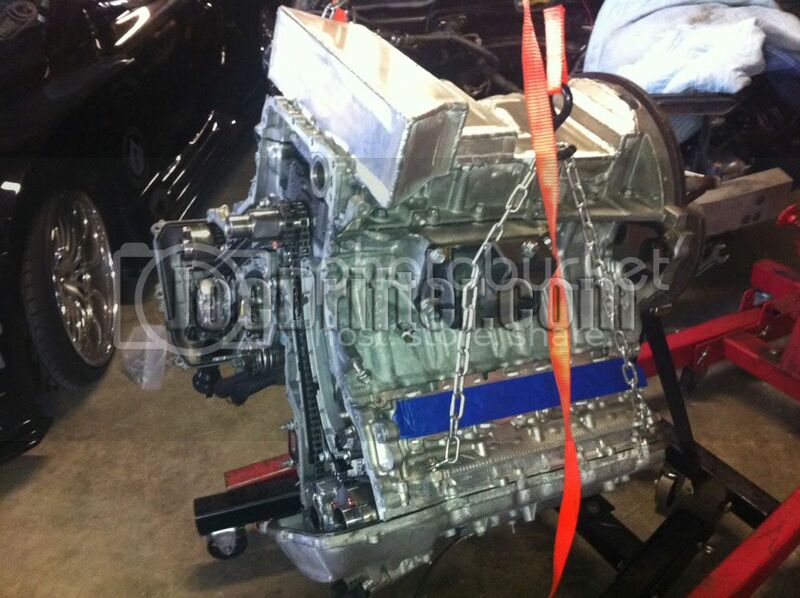 I just worked out a deal with a sponsor and scored a 1999 2JZGTE VVTI Twin Turbo motor for the #3 car. I know I initially stated that both would be Tundra 5.7's but things change and I must control cost. When I have a chance to power a race car with a proven motor at pennies on the dollar I have to go with it. Doing this program on a shoestring budget is the only way it was going to happen. Many times bartering is what makes it all work. Hope you all understand. Which brings me to another point. Am I going to hurt anyones feelings if I jump right to the AEM computer and harness I already have and install it on the running 5.7 #2 car? I am really in a hurry to get the Tundra car on the dyno and track and published. I also need to get things rolling with the #3 car asap. All-in-all both the #2 & 3 cars will be one-offs that no one has ever done before and that is one of my initial goals starting out. Please give me some feedback asap. 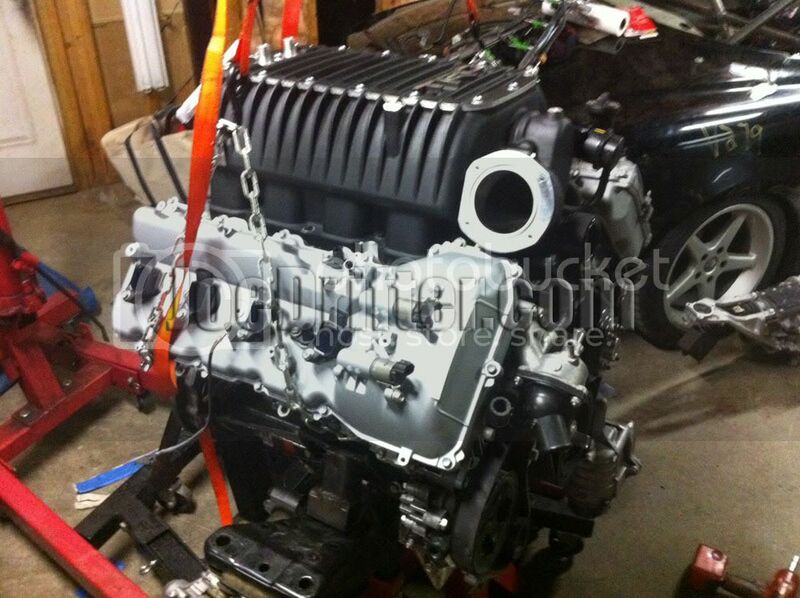 I would like to get the AEM installed this weekend and have it too running shortly. 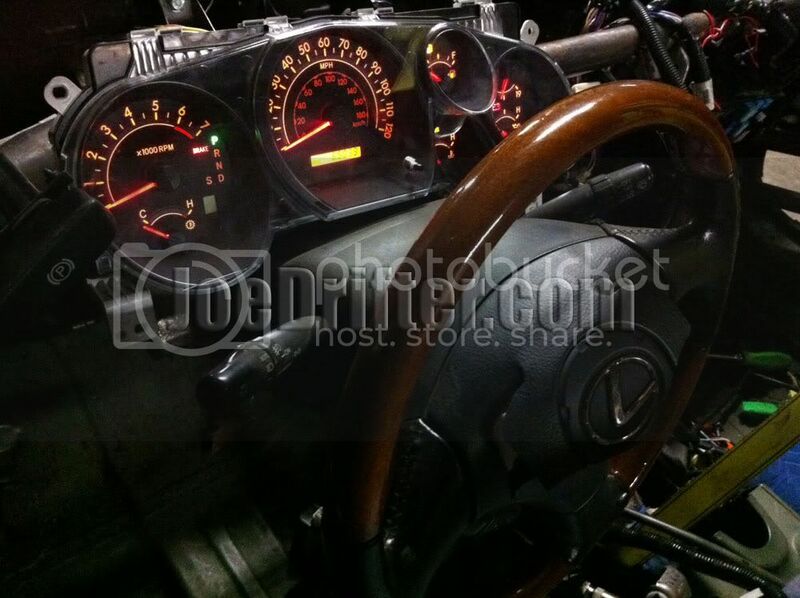 This way I can bolt up the adapter plate I already have for the 6 Speed Z33 transmission to the 3URFE and install the Exedy Carbon Kevlar twin disc clutch I already have and get drifting. I will absolutely sell the entire factory wiring setup for the Tundra with the transmission if anyone wishes to further my progress on the automatic setup. Last edited by JoeDrifter; 01-19-2012 at 10:38 PM.